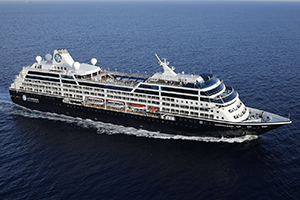 Azamara Club Cruises is a cruise company that operates three ships, the Azamara Journey, the Azamara Quest, and the Azamara Pursuit. The company is a subsidiary of Royal Caribbean Cruises. It was founded in 2007 as Azamara Cruises and was rebranded in 2009. 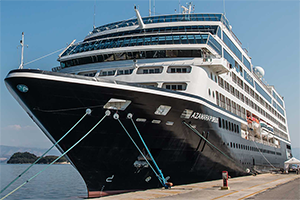 Azamara Club Cruises currently operates three vessels that were originally part of the eight R-Class cruise ships built between 1998-2001 for Renaissance Cruises. The Azamara Journey and Azamara Quest were both built in 2000 and were originally called R Six and R Seven. Both ships are 30,447 GT. The Azamara Pursuit was built in 2001 and was originally called R Eight. Her tonnage is 30,277 GT. Since 2009, Larry Pimentel has been president and CEO of Azamara Club Cruises. He was formerly president and CEO of the SeaDream Yacht Club, Cunard Line and Seaboard Cruise Line, as well as president and CEO of the Classic Hawaii tour company. Azamara Club Cruises has won awards for its service, value and traveler experience. Among its honors, "Azamara Club Cruises won three awards in the same category with Best Entertainment going to Azamara Journey, while Azamara Quest was named Best Fitness and Best Public Rooms" by the 2015 UK Cruisers' Choice Awards. 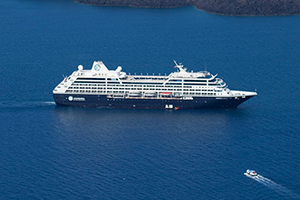 In addition, Azamara Club Cruises was named one of Travel + Leisure's World's Best Awards in 2014 in the large-ship cruise lines category and earned recognition in Condé Nast Traveler's Top 28 Cruise Lines: Readers' Choice Awards in 2014.